These are well constructed and the sheepskin soft and warm. The non slip sole really is non slip and that is really great. I have been looking for sheepskin slippers and these are perfect, also ordered in pink. 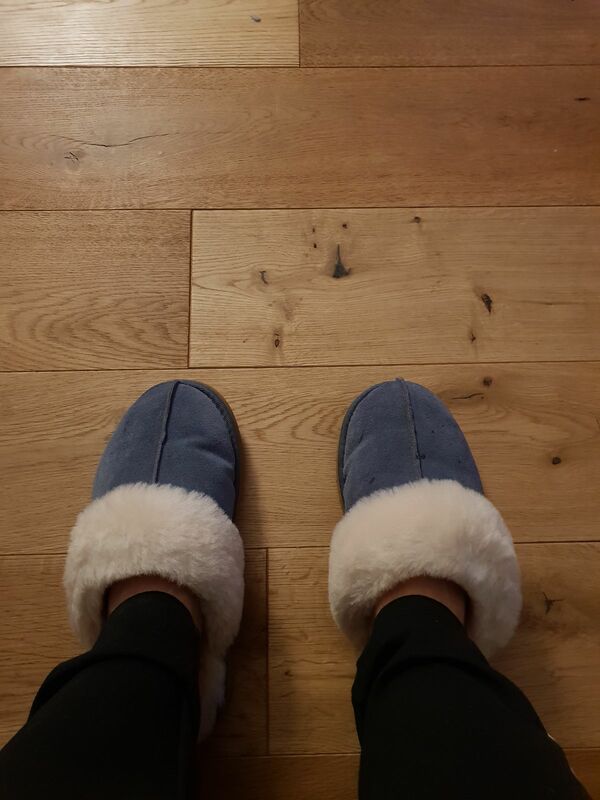 Slippers are comfy and cosy. A great buy! Lovely cosy slippers. Nice to have a pretty colour away from the usual tan shades. Well made with thick furry lining and good supportive sole. Delighted with this purchase. I always bought the more costly brand of these slippers which lasted an age. As I haven’t had these very long I can’t judge on that point. These were perfect sizing and comfy from day one. Lightweight and snuggle your feet in toasty warmth and I love them. Made from real leather they were really good value too. I would have given them 5* but when I walk in them one heel seems to creek a little.....but I still love them.